Western Cape Police, South Africa have confirmed the death of a 26-year-old woman who went missing two weeks ago. 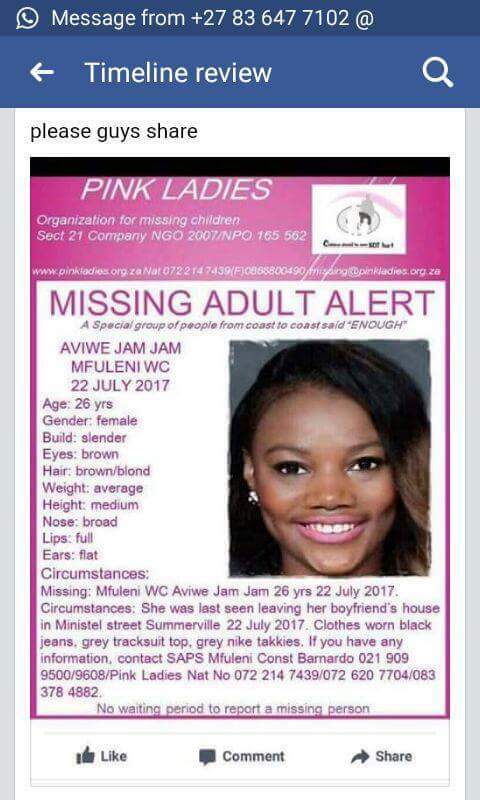 Her family said Aviwe Jam Jam fled Khayelitsha, Cape Town in July, to escape her abusive boyfriend, Linda Nolili. She was last seen in the Summerville area in Kuilsriver after visiting Nolili. 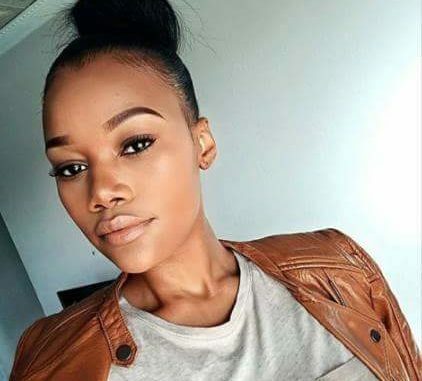 Jam Jam’s body was identified by her family on Tuesday, August 8th, after it was found dumped at the Vygieskraal Stadium, Athlone, on July 29, roughly 24km from her home. She had been brutally beaten to death. Captain FC van Wyk, who confirmed the incident said that the post mortem still needed to be concluded. The boyfriend was arrested last week in connection with several other cases and is being investigated in connection with her murder, he said.